Diplomas, medals from 1st to 3rd place. Trophy for best fighters in disciplines. Trophy for most successful club on tatami and ring. 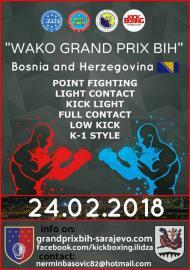 Info about registrations: Registrations only on www.kickboxing-data.com until 22.02.2018. till 23:59 hours.